Queensland is governed from a state capital located a great distance from the majority of its land area. Over the years this has led to a mistrust of and sometimes open dislike of the southeast by Queenslanders living to the north. Indeed, it has been quipped that the Queensland government logo could represent all the State’s resources draining to the southeast. When a wheelwright makes a wheel, does he put the hub on the rim? … When an engineer erects a stationary engine, does he not erect it as near as possible to the place where its power is to be exerted? 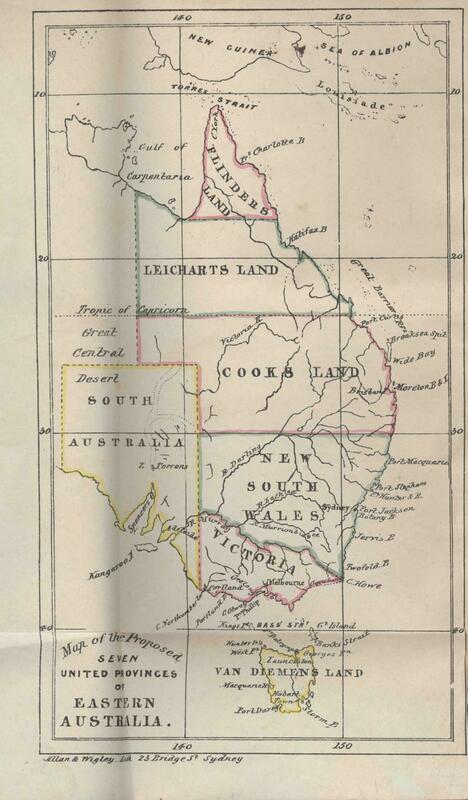 … Yet the people of Queensland have placed their administrative engine, the hub of their Government, in the extreme corner of a territory of 670,000 square miles; and expect that the power of the State will be equally exerted at Bowen and at Brisbane, that the benefits of the State will be equally shown at Ipswich, twenty miles away from the capital, and at Croydon, a thousand miles away. Is the expectation reasonable? … What would you think of a man who told you the circulation of the blood would be more perfect if the heart were placed in the big toe? This quote from an 1893 pamphlet titled ‘Why north Queensland wants separation’ clearly articulates one of the key arguments put forward by secession advocates. They argue that Brisbane cannot possibly provide adequate governance for the distant and diverse environments that exist outside of the southeast corner of the State. For many citizens of smaller nation-states it must be difficult to imagine the vastness of Australia. Indeed, the State of Queensland alone is much larger than many countries. This vastness coupled with the State’s decentralised population represents a significant problem for governance and many of those residing far from the capital city, located in the southeast corner of the state, have given voice to the call for the further division of the territory. The secession debate from the 1850s to today reveals that Queensland’s story is not one that can be told with a single voice. Its geographic distance has resulted in political divisions. 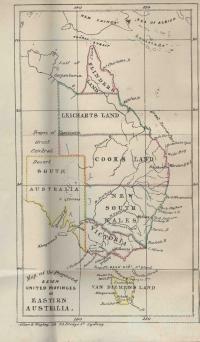 In the wake of the formation of Queensland as a separate colony it was widely believed that further subdivisions would take place. John Dunmore Lang had been integral to the subdivision of New South Wales and he was a strong advocate for continuing the project - a sentiment that many Queenslanders came to support. Alteration of limits of States. Since federation numerous efforts have been made to push the Queensland Government into action. New state groups have organised conventions and petitions to further their goals. At times they have even been close to achieving their aims. 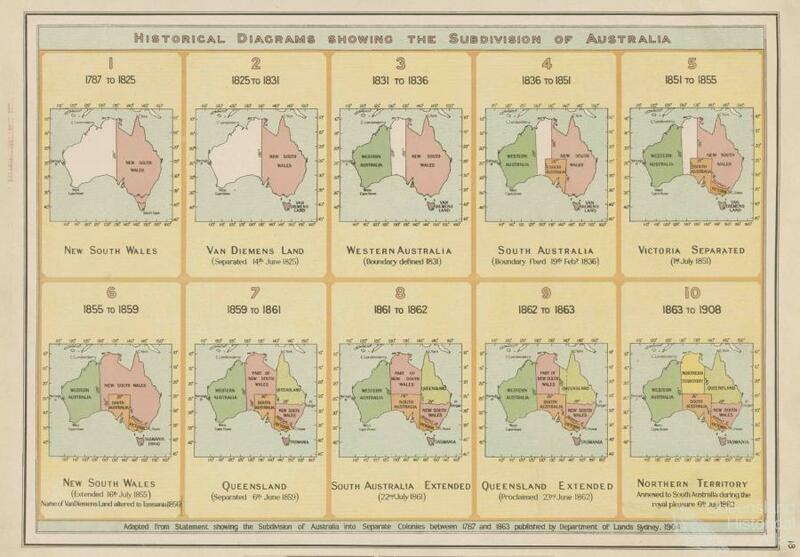 In 1910 the Queensland Parliament passed a motion proposing that Queensland be divided into three distinct states. However, the motion was never enacted and despite the efforts of many they have never again come so close to success. A lack of political will both in Britain and Brisbane, the existence of anti-secession groups, as well as divisions within new state supporters have all contributed to the retention of a single state. One of the clearest signals of the lack of unity within and between new state pressure groups are the many flags and state name suggestions that have been put forward. However, the most heated debate has been about which city would become the capital of a new state. At various times Townsville, Bowen, Charters Towers, Rockhampton, Sellheim and Cairns have all been suggested and competition between various cities has been a cause of disunity and further inhibited the new states cause. Boundary lines have similarly been a subject of debate - particularly over whether the state should be divided into two states or three. In 2010 it was suggested that the boundary could run along 22° latitude line north of Rockhampton and run through to the Northern Territory. We have been economically massacred in the north ... it’s the tyranny of the majority being in south-each Queensland – the winner takes all. Proponents hoped and, as Katter’s statement reveals, continue to hope, that the further division of Queensland would lead to enhanced government and bring economic benefits. It’s one of those issues that can come and go and everyone gets excited, but when we look at the logistics it goes into the too hard basket. So even though the debate periodically rears its head, just like the abolition of the states altogether, it is unlikely that the new states movements will ever achieve their goal.